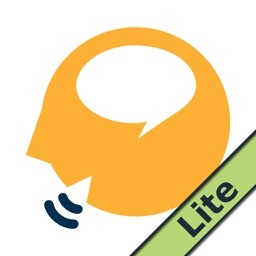 Advanced Reading Therapy Lite by Tactus Therapy Solutions Ltd. 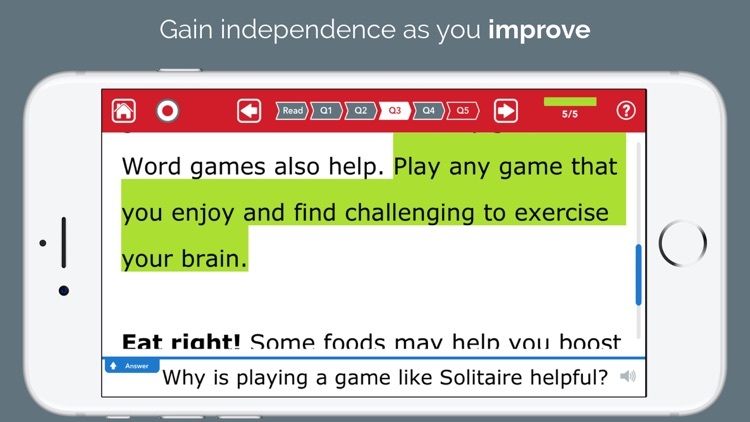 If your reading skills have been impacted by a stroke or brain injury, this app can help you improve. 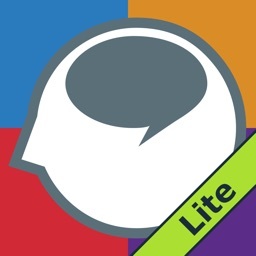 Practice reading with engaging exercises that include text and audio supports. 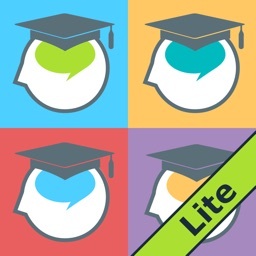 * Level 1: Shorter passages of 50 words or less, written around a Grade 0 – 1 reading level. 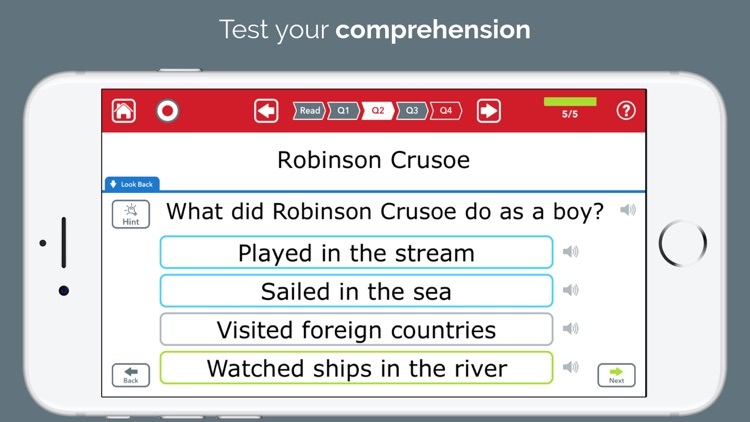 Three questions after each passage test comprehension. 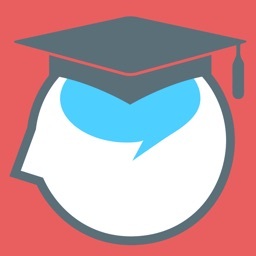 ** Level 2: Medium passages of 50-150 words, written around Grade 2 – 3 reading level. Four questions appear to see how well you understood. 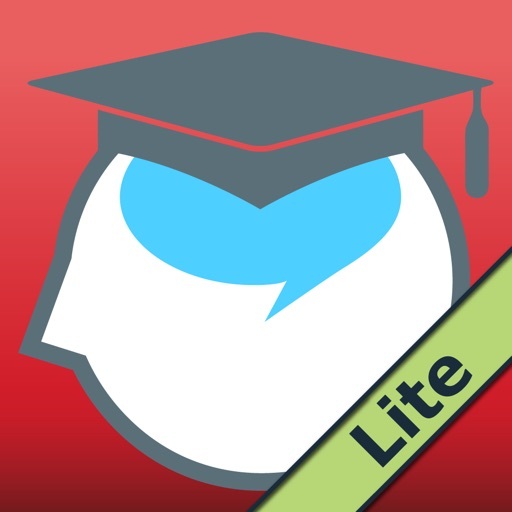 *** Level 3: Harder passages get you ready for the texts you want to read. 150 – 600 words and Grade 3 – 6 reading level with five questions each. Adult readers will enjoy these functional and entertaining passages as they get back to reading the pages and screens in their own lives. 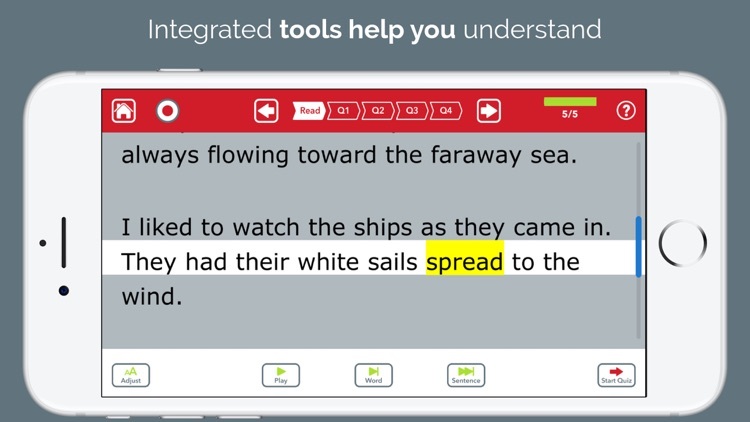 Speech-language pathologists will love having so many modern reading passages with carefully-crafted questions at hand to teach strategies.Built-in audio controls let you listen to a single word, go sentence-by-sentence, or hear the whole article – whatever you need. 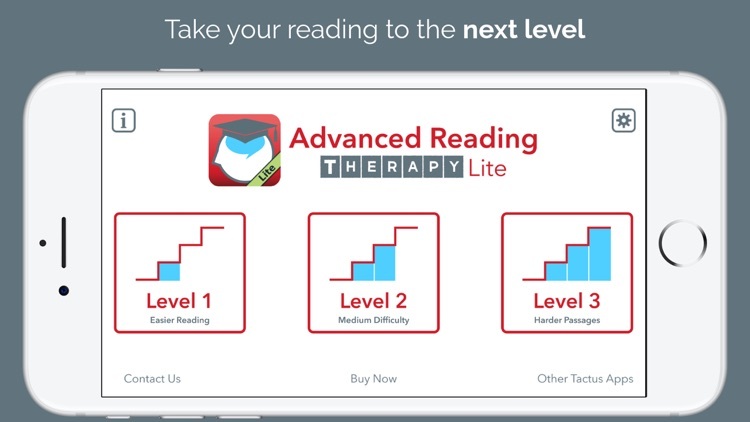 You’ll get over 200 reading rehabilitation exercises in 15 categories in the full app. 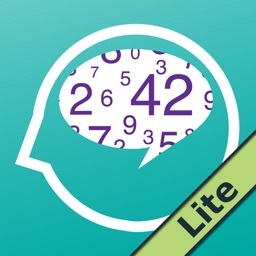 In this free Lite version, you'll get 1 passage from each category for a total of 15 passages (5 in each level).